Popular Science Blog - Can the Sun Keep You Cool? Enter e-mail address to receive popsci weekly updates to your inbox. Can the Sun Keep You Cool? I probably don’t have to tell you that it’s been hot this week—almost every state in the country reported a high temperature above 90°F somewhere within its borders yesterday. And as we all know, oppressive heat means oppressive energy consumption, a vicious cycle that perpetuates the effects of global warming. New York City’s power company, Con Edison, reported all-time usage records earlier this week as people remained indoors with their air conditioning cranked, causing scattered blackouts across the city (our managing editor has been without power for three days). But what if our air conditioners were able to harness some of the sun’s wicked heat and turn it into the life-saving cool air on which our comfort depends? Florida-based Matteran Energy might be able to help us do just that. 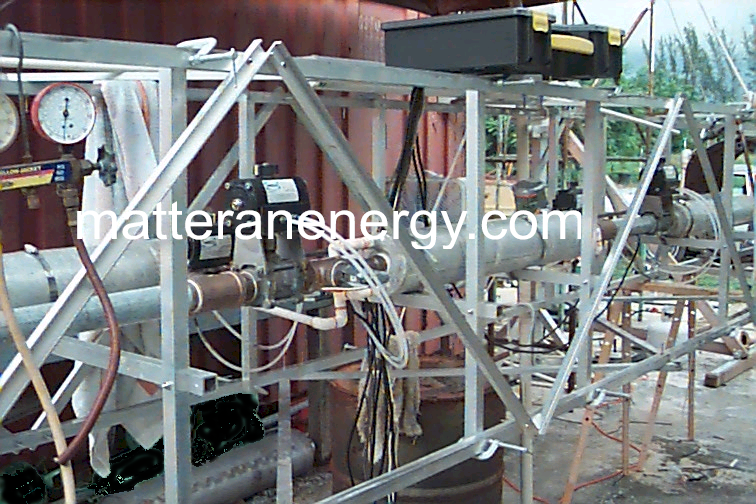 Instead of using expensive photovoltaic cells to convert solar radiation to electricity directly, Matteran’s solution uses far-cheaper thermal-collection technology to heat a synthetic fluid with a very low boiling point (around 58°F), creating enough steam to drive a specially designed turbine. And although a fluid-circuit system converting heat into electricity is nothing new, Matteran’s innovative solution increases the system’s efficiency to a point where small-scale applications make economic sense (see the animation on the company’s Web site for a more thorough explanation). Clean the air? It is possible. Clean water? It is possible too. Clean energy? It is possible as well. My idea is very difficult for understanding. It is not difficult for engineer - mechanic, who knows very good the Pascal's law and even-arm lever. Overthere is all about idea of main . Email this article to friends. This technology looks very interesting. I'm going to look into it and if it seems to perform well I may even promote it to my mailing list and consider investing in this company. The conception of an energy is discreate one to the same as a imbecility. No one has seen the energy and no one has seen the imbecility. We are able to observe results of the energy and imbecility. At present we have got to few energy because we have got to much imbecility. Thanks for sharing this very use full information I will be definatly be back soon. Keep Up the Good Work! Solar is great source of supplying electricity and heat from the same collectors. And cooling can be accomplished most efficiently by simply circulating fluid through pipes underground and in the homes inner structure using solar electric powered pumps. I'm a straight atheist woman who always thought of the parallels between the two groups. Finding myself keeping my mouth shut on so many occasions about my lack of belief really made me respect gays who are not shy about who they are. I still don't have the nerve to say it most of the time unless I'm in the company of people I really trust. Anyway, that made me look around the rest of your site and there's great stuff here, thanks!! People can keep pointing out the 1st & 2nd laws of Thermodynamics from text books. But has anybody tried it? I have, and it worked. I didn't get the wild claims of double and tripple mileage increase, but I did help my mileage. I small electrolyzer on my pickup gave me a 5 mpg increase. From 18 mpg to 23. I believe that is a .783% percent increase. Not much, but 5 more miles to the gallon looks pretty good right now, considering I didn't have to spend more than about $80. bucks. This is really fantastic advice, thank you so much . This post is one of the great post that i have seen.. Thank you for this article on Piracy. I have been taking a class on copyrights and trademarks and registered items. this will help me know and put into use as I learn graphics. Your article is very useful. Fossil fuels are running out. So much solar energy is wasted. More research is needed. Apple Wins the Blu-Ray Vs. HD-DVD War? The Grouse: Where is My Mind?